The firm's Sports Law practice includes representation of professional sports franchises, sports stadiums and arenas, and of amateur and professional athletes, including their revenue-producing contracts of engagement in a team sport, sponsorship, advertising and licensing contracts, and the handling of off-the-field business investments and acquisitions. The representation of athletes and sports franchises also includes advice and compliance with relevant laws governing acquisition and protection of intellectual property rights such as logos, trademarks and protection of personal likeness. Representation of sports franchises includes forming a new professional sports team, compliance with league constitutions and rules, stadiums and lease negotiations and employment relationships with key personnel. 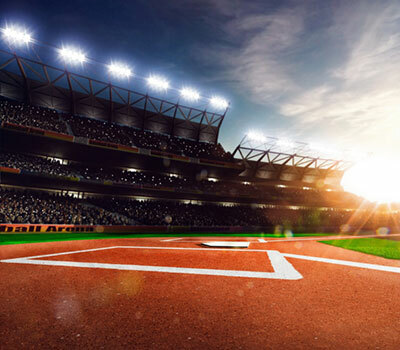 Representation of stadiums and arenas includes the purchase thereof, and negotiation of leases and contracts concerning use by sports teams, music concerts, special events and naming rights. Representation of investors in sports franchises. Representation of athletes, coaches and executives in negotiating contracts with sports teams. Representation of professional and amateur athletes in connection with sponsorships, advertising and endorsements. Creation, purchase and sale of sports franchises. Representation of sports equipment manufacturers and the sale and licensing of equipment. Representation of entities acquiring the naming rights to arenas and sports stadiums. Purchase of a 15% minority interest in the Houston Texans professional football team. Negotiation of a royalty license agreement concerning a patented golf putter with Slazenger. Establishment of the Houston Aeros professional ice hockey team and general representation. Representation of Assignee of Lease of The Summit located in Houston, Texas. Representation of the Laredo Bucks professional ice hockey team in the negotiation and sale on behalf of the City of Laredo, Texas of the naming rights to the Laredo Energy Arena. Representation of client in negotiating various contracts and promotional activities for the Super Bowl 2004 (Houston). Representation of nationally known golf professional in the establishment of golf schools located in Houston, Texas and Boston, Massachusetts. Representation of numerous professional athletes in the structuring and negotiation of numerous television, radio, sponsorship and endorsement contracts. Advice and supplemental representation of professional football players in negotiating National Football Leagues, World Football League, Canadian Football League and Arena Football League contracts. Representation of an owner of the Houston Texans professional football team and the sale of his entire equity interest.